The name describes this bouquet perfectly! 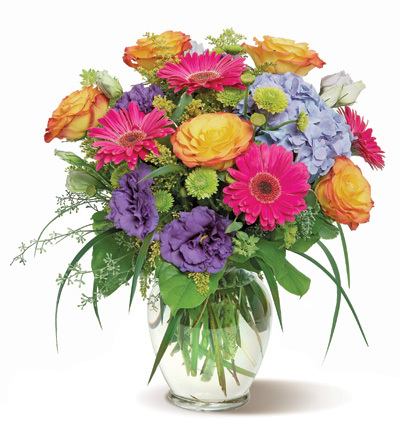 This colorful flower arrangement is absolutely glorious and looks like a fresh-from-the-garden bouquet. A great way to celebrate a special occasion!